It has almost been a century since television entered our lives. Leaving all other media behind, it has become the most popular mass media. The most important reason behind its popularity is that it brings almost everything we desire but cannot reach to our homes through a glass screen. 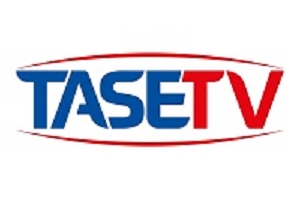 Thousands of television channels all around the world create contents for almost every taste and interest group; and their number is gradually increasing. Owing to the broadcasting adventure in Turkey that shows parallelism with the developments in the world, televisions have become indispensible furniture in houses, offices and even in places of socialisation. The place of television in our daily lives is important in terms of the time we spend and our habits of using this media. Television which has many functions such as entertainment, education, and informing is the most common and the most effective mass media. The way it influences our lives has become so dominant that we have started to plan our daily routine according to our fields of interests on television. Today, when designing a living room, the first problem to be solved is the place of the television. In the selection of furniture, television has become a reference point, which is an indication of the fact that in homes, we spare the most important and precious time for television. There are many researches on what we watch on television which is placed in the centre of our lives. As the television rating results reveal, series are the most popular productions. There is a cut-throat competition among the series aired at primetime every night. The winners of this competition, at the same time, can be the winner of the rest of the day because people focus on talking about the popular series and solving the issues as if the characters are real. This interaction can be effective in their socialisation, shaping their lives and making decisions. This study scrutinises the series-watching habits of the university students through “TV Programme Connectedness Scale” developed by Russell, Norman and Heckler, and the reflection of these habits in the students’ daily lives has been analysed in the framework of Elihu Katz’s uses and gratifications theory. HOW DO FORMATS AND INFORMATION PRESENTATION MODALITIES INFLUENCE VIEWER’S RECALL, RECOGNITION AND BRAND AWARENESS? This paper tests through the five-minute video, which was produced in a Web content format reflecting the consumption patterns of young consumers in snack culture age. This study examines how do contents format such as documentary format and entertainment format, and information presentation modality such as visual modality and audio-visual modality influence viewers' memory and attitude for information through experimental research method. Depending on the contents format, significant differences were found in viewer’s recall and attitude, except for recognition. For viewer’s recall, the entertainment format (M= 3.341) was found to be more effective than documentary format (M=3.096). For attitudes, documentary format (M = 3.180) showed a more positive attitude than the entertainment format (M = 2.508). The results of recognition and attitude were statistically significant based on information presentation modalities (visual, audio-visual), excluding recall. For recognition and attitude, the audio-visual information was higher than the visual information. The interaction effects of content formats and information presentation modalities on recall, recognition and attitude were not statistically significant (F=.007, p=.932). The interaction effects of content formats and information presentation modality on recall have been shown to be statistically insignificant. Two-way interaction effects of the contents format and information presentation modality to recognition were statistically significant (F = 25.260, p <. 001). The effects of the interaction of contents formats and informational presentation modalities on attitudes were not statistically significant. Attitudes based on contents formats are different, but differences in information presentation modalities are not significant. Young consumer’s focus on web contents is weakening. In this regard, consumers ' recall and recognition and brand awareness of web content are important for enhancing the effectiveness of communication. Medical animation as a visual simulation is a very effective tool in communicating medical information with more emotional impact, and more compelling, memorable, objective and succinct at a faster rate more dramatically than traditional dry oral or written formats. Medical animation plays multiple roles in shaping the notion of medical reality. It is an integral aspect in teaching, learning, and communication. Animation modules provide patients, medical educators, healthcare professionals with visual support, increasing understanding and retention of important issues, so they can develop mental models to understand the behavior of a complex physical system in the real world.This graphical representative medium doesn't only reflect and report reality, but also filters and shapes understandings of the mechanism of action of a biological system, bio-medical technology, pharmaceutical drug or an anatomical process.This paper demonstrates medical illustrative styles and the use of animation characteristics as an instructional communicative tool for medical educators and patients to experience situations through edugraphic games in a virtual environment that may be difficult to experience in reality. This paper aims to highlight an important question: does medical animation represent reality in a fully accurate or proportional way or it has sometimes false appearance due to the user's perception, or mainly due to subjective impression as well as illustrative manipulations of artists and designers as being creators of visual simulations? So getting misrepresentations and misinterpretations question the credibility of documentation and prediction of medical subjects.Finally, ended to several results the most important are: the variations in illustrative styles in medical animation depicting the movements, process of the inner workings of biomedical issues depend on spatial and temporal design considerations, perspectives, angles of views of the illustrated elements and techniques used to create proportionally accurate motion visualization in a virtual environment. Continuous co-operation between scientists and creators as media artists, designers and animators has to take place in order to achieve scientific validation of the illustrated reconstructed models and to maintain accuracy, consequently affecting the communication and perception process. The confrontation in the present day of the planet is dynamic planet since society has spontaneous the primitive society from the primitive to the modernization which be engaged from materialism, consumerism and information-ism. Unfortunately, the violence and structural violence have been situated in the global phenomena. Peace education which is the excellent property of humanity will be taught in oneself and the others by the followings: 1 be faithful and respect in the goodness of yourself and the others. 2) be aware of conflict normality of learning. 3) be concerned in the individually differentiated ideology.4) be understood of the changing and dynamic planet. 5) be taught in school by using the systematic thinking processes of all problems solution. Certainly given PEACE Model must be concerned as the followings, P= People those who understand in the human being differences, E=Education it should be run in every level of schooling, A=Activeness all of social institutions have to take effective actions, C=Community gaining the similarities and reduction of differences will be done, E=Earth the global will promote friendship, unity and fraternity both into direct and indirect ways. As the successful elements of an advertising campaign are taken into account , it is different from similar campaigns and has the purpose of convincing the target audience to buy that product or service. For this reason, the advertiser has to follow a process that involves striking and interesting work on a certain topic at a certain time. In this context, a successful advertising campaign in this process emerges as a result of a realistic evaluation and identification of the demographic characteristics of the target group. This study involves explaining the demographic characteristics (such as age, education, gender, place of residence, occupation, income and marital status) that are vital in defining the overall profile of the target group, which are effective in the emergence of a successful advertising campaign. The developments in communication technology didn’t only affect the visible side of life but also transformed the ways of thinking, perception and interpretation. The form of communication through visuals is accepted to be the reality of today. On the other hand, the digital evolution due to the advances in technology has had the advantage of ever increasing flow of data and information. Therefore, processing the intense, unorganized and complex data to transform them into meaningful and useful datasets has become an area gaining more importance. Making information more understandable for wider audience requires the presentation of data through systematic visualization. Therefore, infographics have become an element that is used more frequently in every media. Infographics fulfil a very important need in this age by presenting the information and data that increases due to technological developments through an understanding focusing on functionality and aesthetics where visual communication is in the center. In understanding infographics, the visual literacy level of the user is a factor that is as important as the quality of the design. This article examines the relation of visual literacy with the process of reading, perceiving and interpreting the infographics. The main purpose of this study was to reveal the extent to which the role of gatekeepers in traditional mass media is realized in agenda-setting in social media. 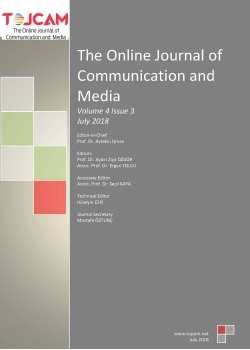 In this context, this study focused on Twitter, the most common microblogging service classified under social media, examining the role of gatekeepers in agenda-setting on the Twitter accounts of major newspapers in Turkey. The Twitter accounts of three major national newspapers in Turkey were used as the research sample. The results revealed that all three Turkish newspapers followed their own agendas to a high degree, and those agendas demonstrated continuity. Namely, the newspapers continuously reported on certain issues on Twitter, which led to continuity within the own agenda of each newspaper. One of the most important roles gatekeepers play in the media in terms of agenda-setting is that of focusing on the same issues and report the same items in foreign and political news, as well as in sensational tabloid press news for creating a dramatic effect (Erdoğan and Alemdar, 2002: 215). It was observed that in the Twitter accounts of the newspapers in Turkey, the role of gatekeepers in agenda-setting mainly occurred within this context.